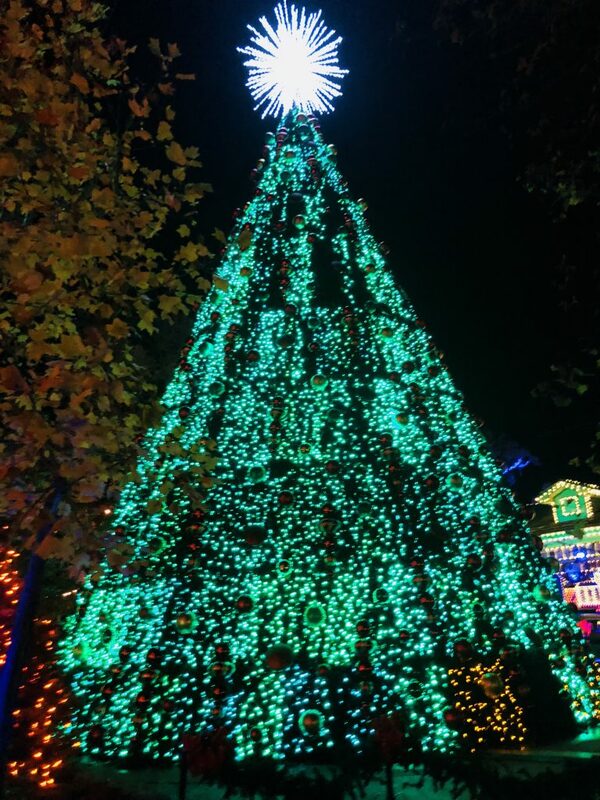 If you are looking for an amazing vacation spot, especially during the holidays, you can't go wrong with Branson, MO. 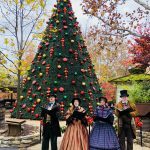 Branson's Ozark Mountain Christmas offers so many wonderful opportunities to fill yourself with Christmas joy through laughter, amazing shows, Christmas lights and so much more. 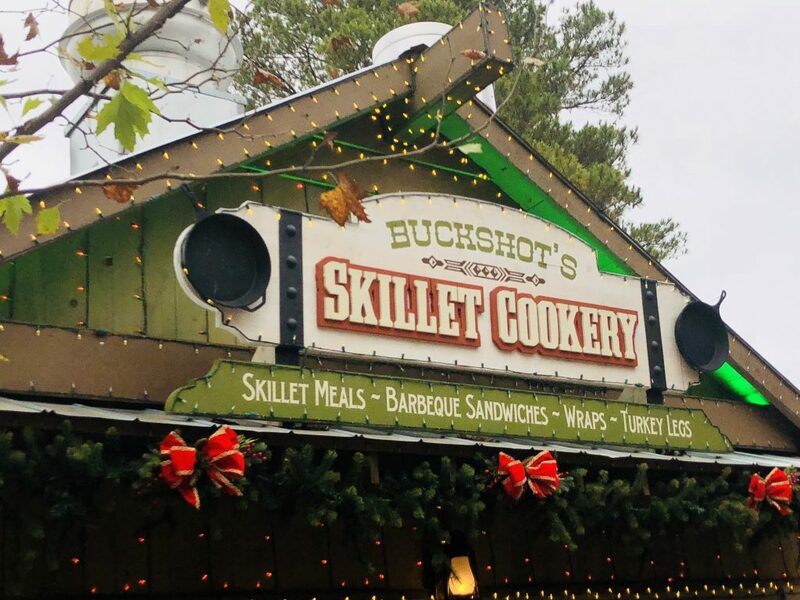 You cannot visit Branson without making a stop at Silver Dollar City. 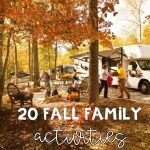 It provides such a unique experience enjoyable for the entire family. 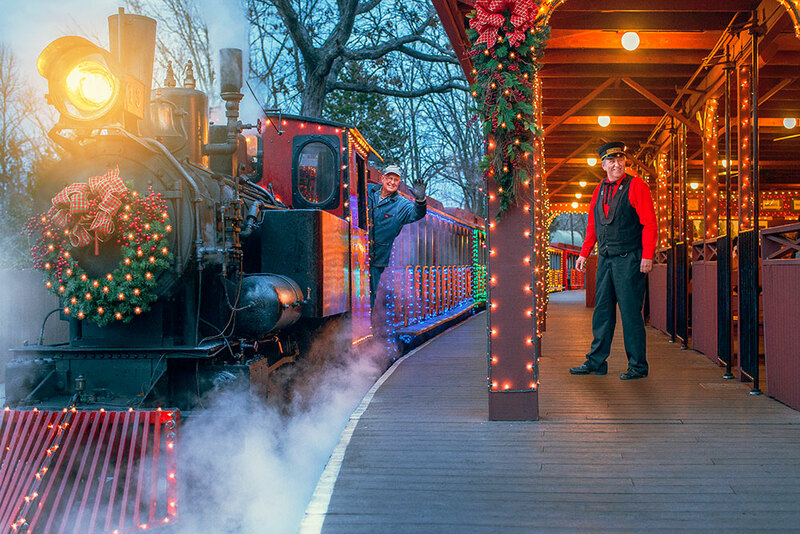 Silver Dollar City, also known as The Home of the American Craftsmanship, has been dazzling consumers for over 55 years. 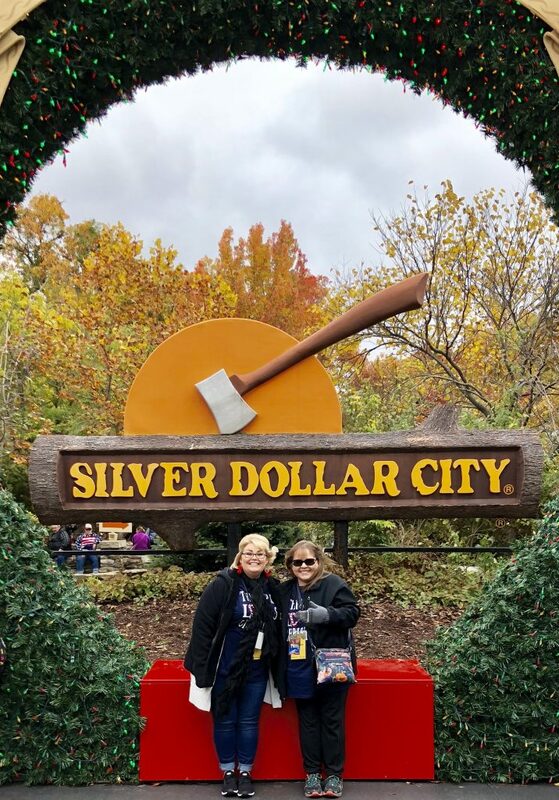 My parents have visited Branson many times but never explored Silver Dollar City because they aren't amusement park enthusiasts but after sharing my experiences with them, they quickly realized that SDC is more than just amazing rides and they can't wait to go with me one day. 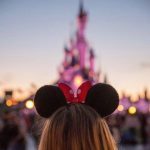 Now, if you are a ride lover, you will not be disappointed with their over 40 rides and attractions but this amazing park offers so much more. They are known for their craftsmanship for a reason! SDC hosts over 100 craftsman regularly. 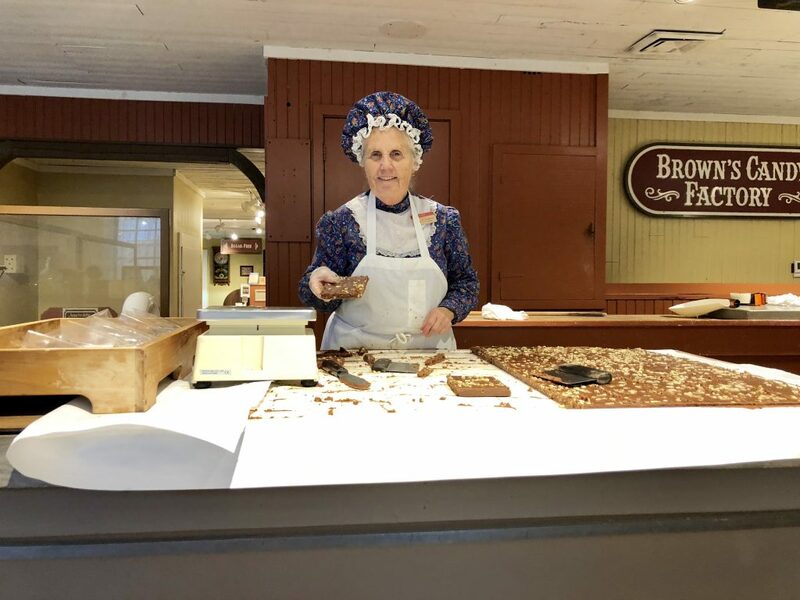 We watched glass being blown, candy being made, wood carving and more. 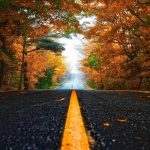 Each were unique experiences. I seriously could have watched the glass demonstration all day. They have a spectacular master craftsman program, teaching artisans of many trades to master their craft. They also offer a field trip program where students get learn from the master craftsman. Make sure you check out the homestead that features homes from over one hundred years ago. I love a good musical! We watched A Dicken's Christmas Carol and it was amazing. The cast was very talented. 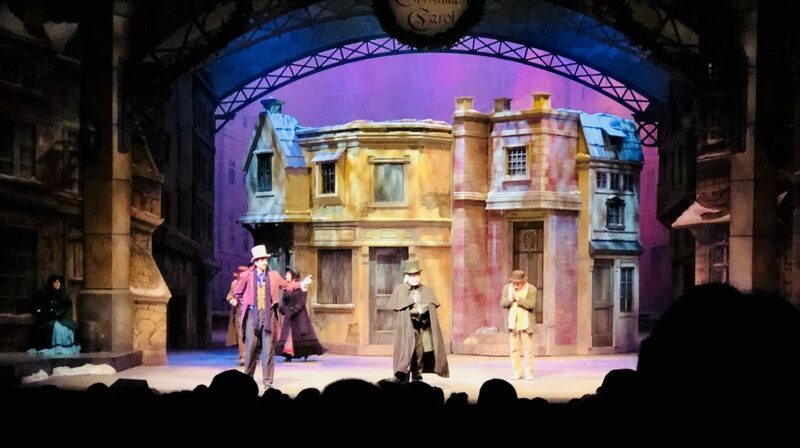 The set was beautifully done too, so vibrant, colorful and bright. I've seen shows from Broadway to Las Vegas and Branson knows how to deliver a show worth a standing ovation. It was impressive! This was just one of the many productions that SDC puts on throughout the year. There is no shortage of talent in this amazing place. Some features are specific to a festival they are hosting so make sure you check their website often. 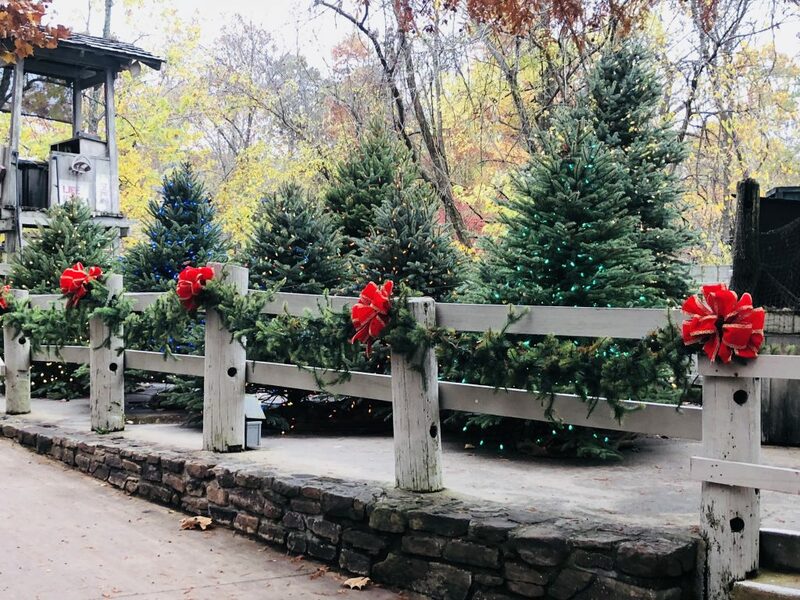 SDC hosts seven amazing festivals throughout the year. 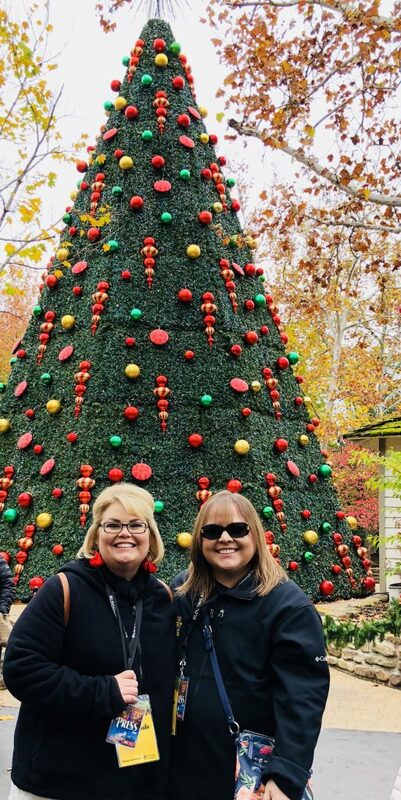 We were fortunate to experience their Old Time Christmas Festival and it did not disappoint. It was quite magical actually. 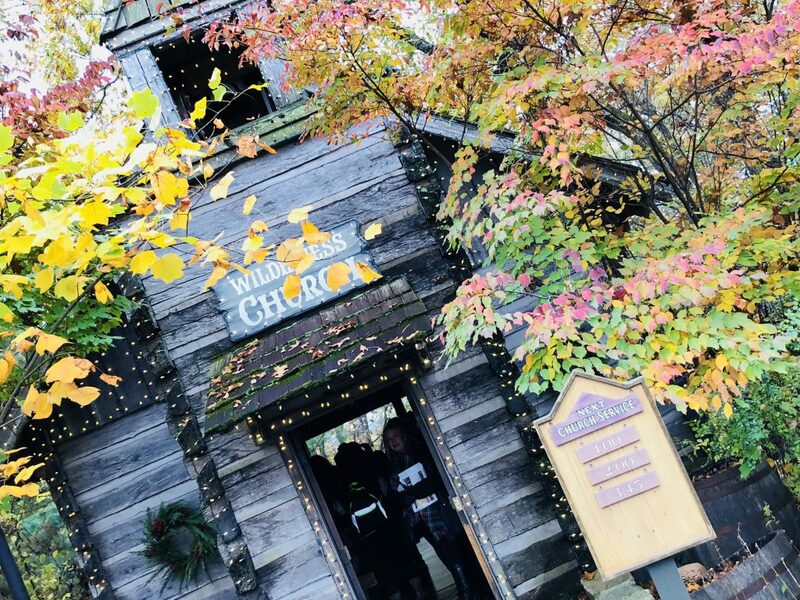 If you are looking for entertainment, you can attend a sing along, listen to glorious harmonies, participate in a dance party, listen to some good ole country music and so much more. They haven't forgotten the kids either! Children have a ton of show and ride options in the park. It truly is family friendly with fun for all ages. 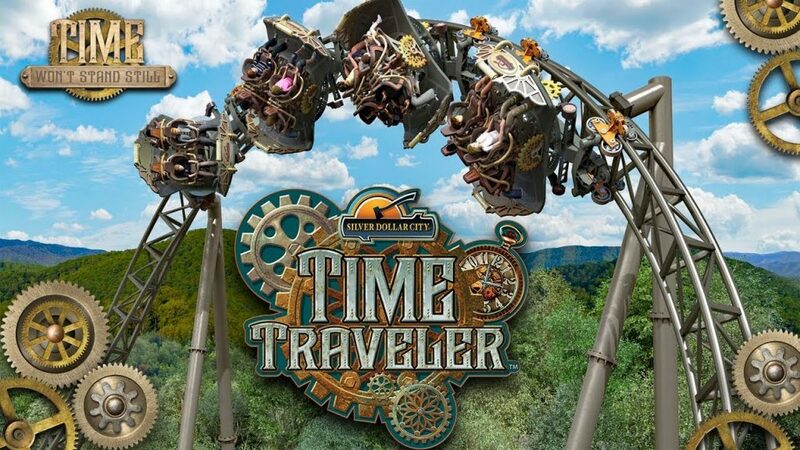 If you love a good thrill ride, you will want to hop on the new ride, Time Traveler. Hold on to your jaw because it will certainly drop as you exceed fifty miles an hour, enduring a ten story drop. The Time Traveler is the World's fastest, tallest and steepest spinning roller coaster. Like rides but not up for the roller coaster? That's okay! 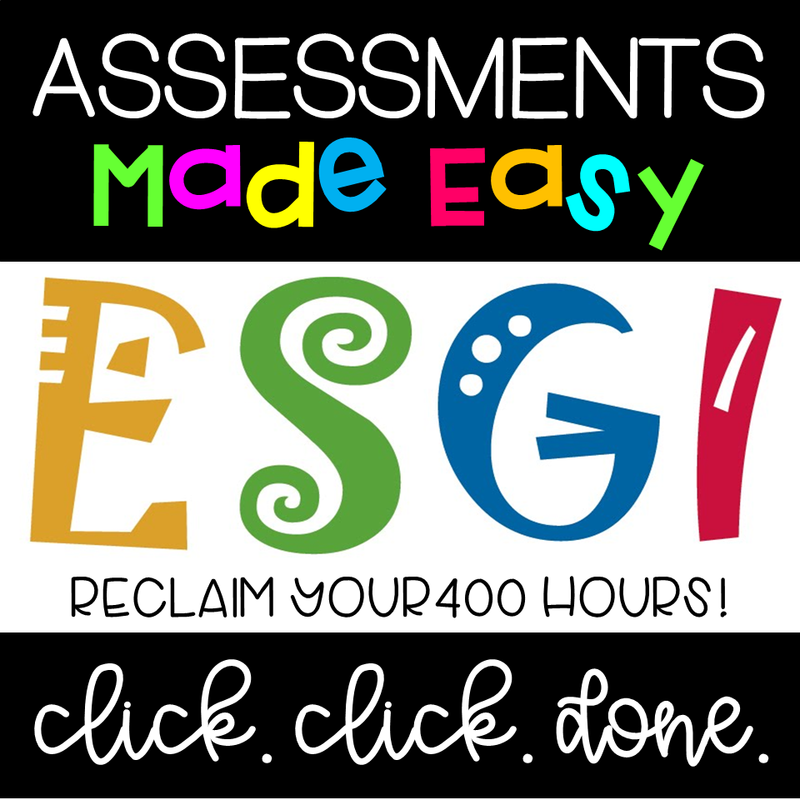 They have plenty of options for you too! 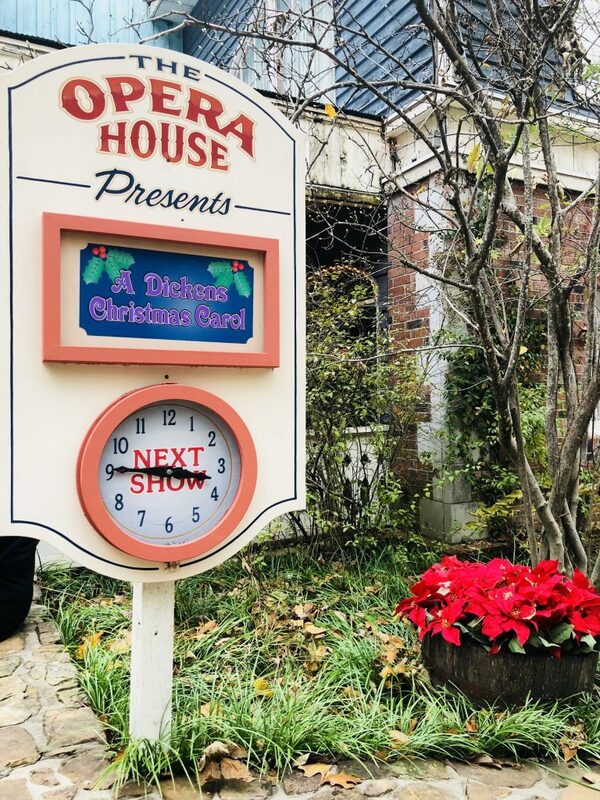 An Old Time Christmas lasts throughout November and December. 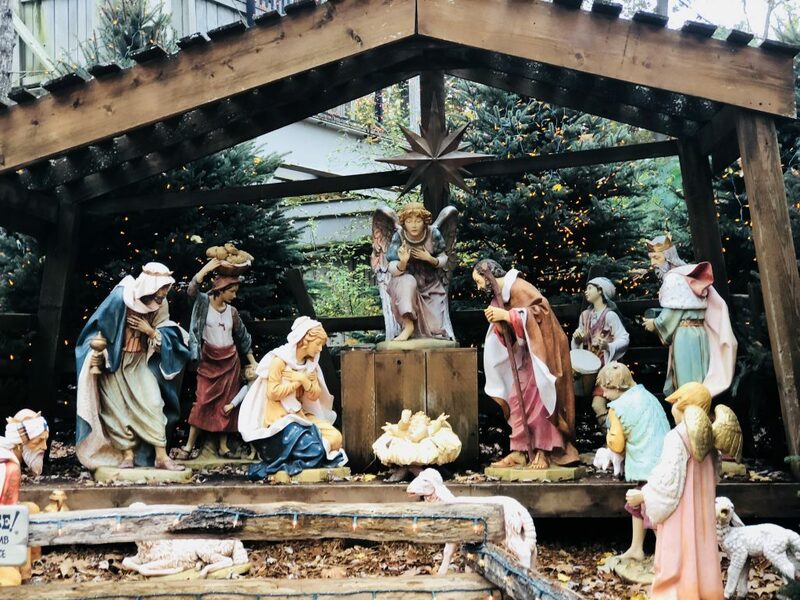 During these two months you can watch a live nativity, go on a special train ride that showcases the birth of Jesus, watch spectacular Christmas shows, take pictures with your favorite characters including Santa Claus and my favorite, walk through their light display that boats 6.5 MILLION LIGHTS. Yes, you read that correctly, 6.5 million lights! It is unlike anything I have ever experienced. 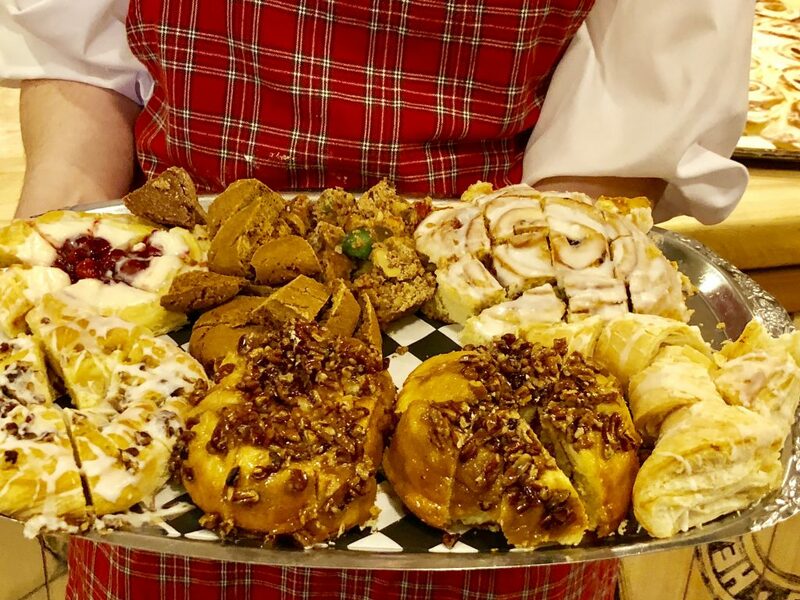 Make sure you head to Silver Dollar City on an empty stomach because there are more delicious food options then I could count. 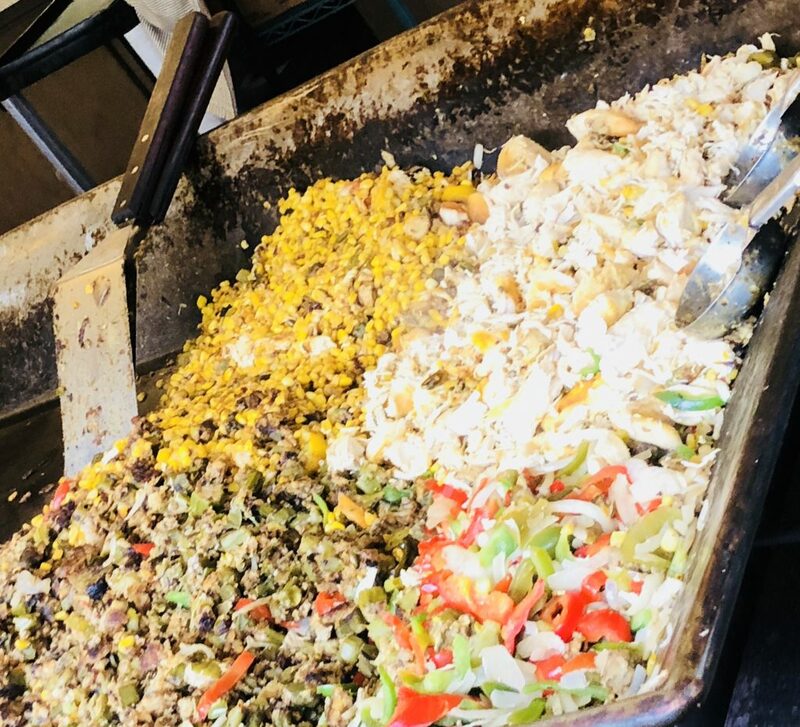 Seriously, you can't try everything in one day but you will want to when you walk around and smell all that goodness. Take some time and watch them cook or even taking a cooking class while you are there. 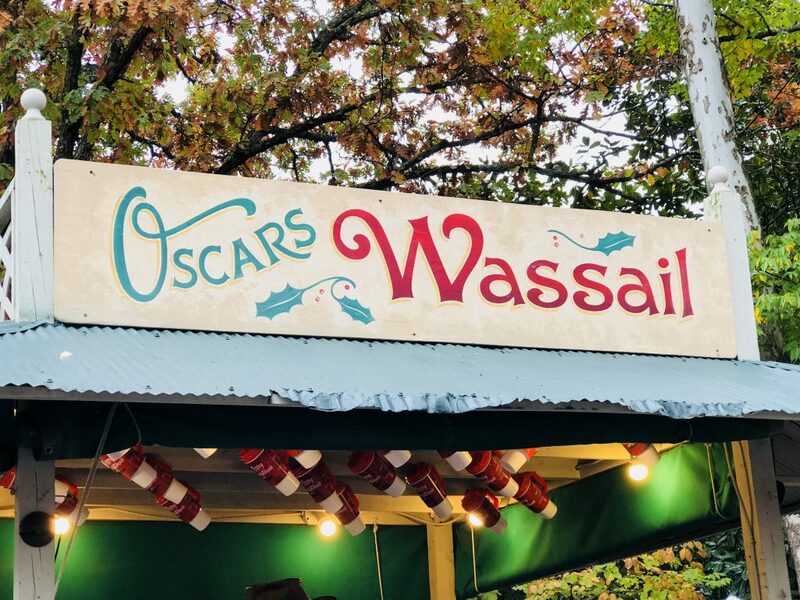 Have you ever tried Wassail? It was pure, hot goodness. Grab a cup and hop on a free carriage ride. It's what Christmas dreams are made of. 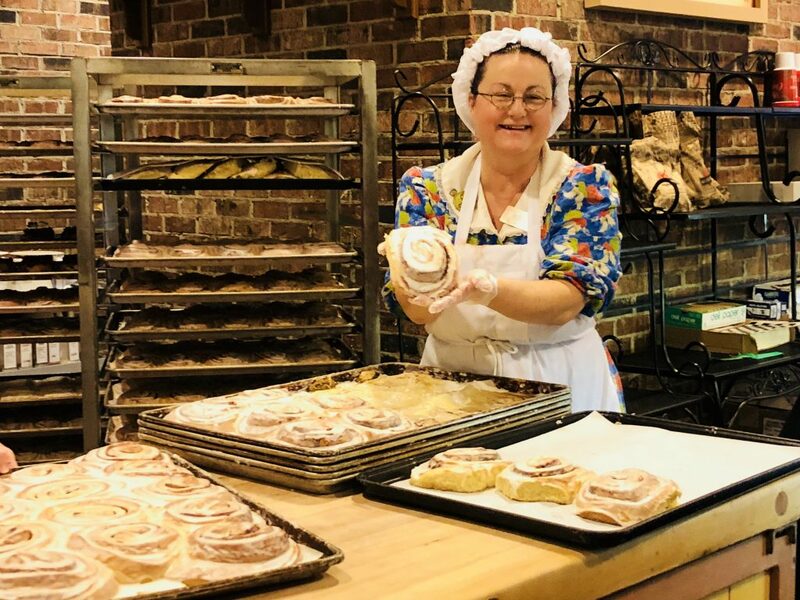 You will not go wrong with their homemade cinnamon rolls. Seriously, plan to eat breakfast, lunch and dinner here and same room for a few snacks. 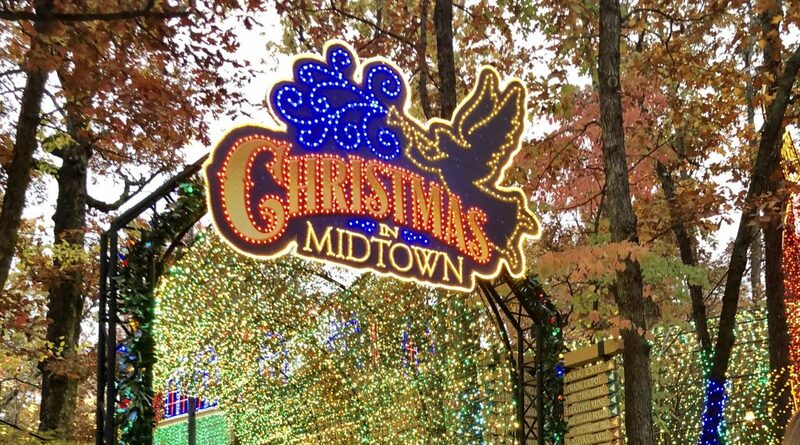 At the end of the day, grab a cup of hot chocolate and a cozy spot to watch the Christmas parade. 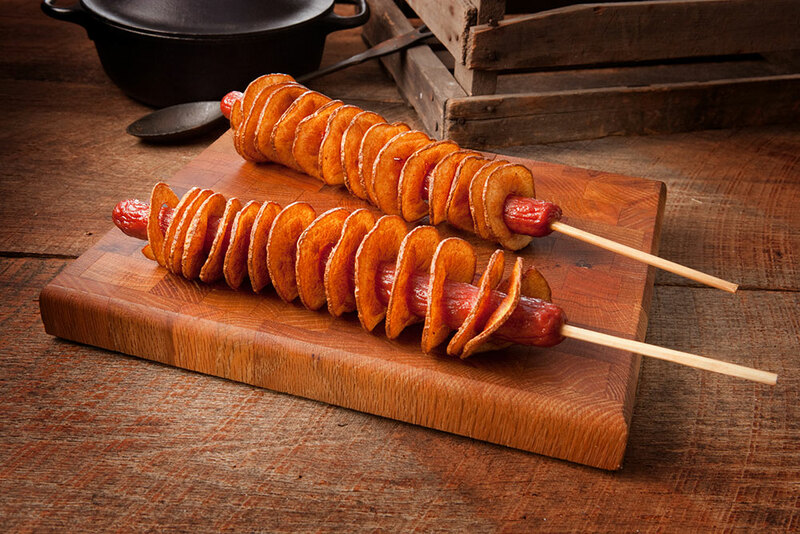 If you can't make it this holiday season, don't fret. 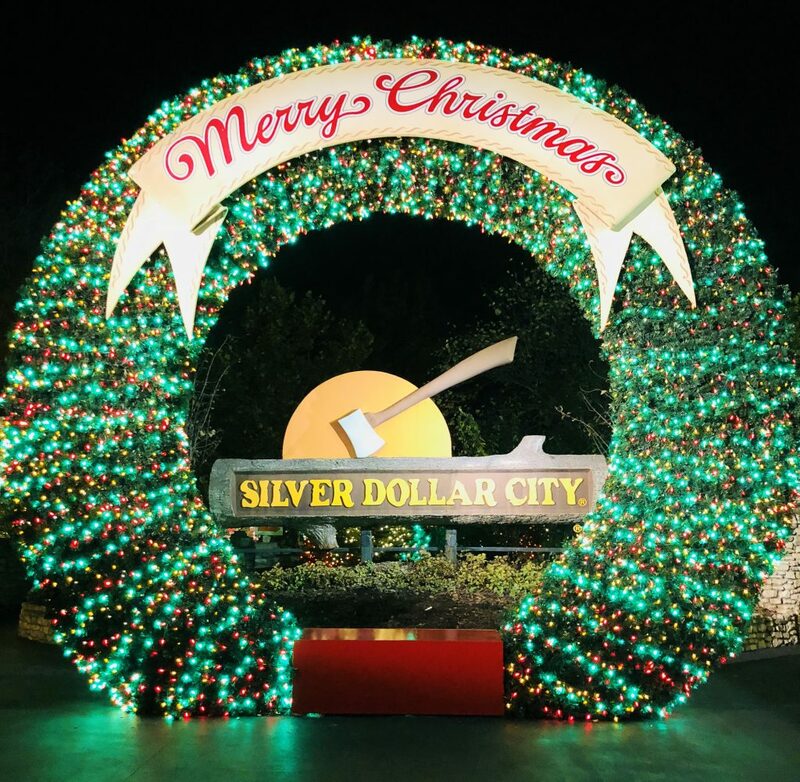 Silver Dollar City has some amazing things in store for 2019! Take a look. My husband and I have four children ranging in ages 7 months to 21 years old. I love thrill rides. His feet stay planted on the ground. 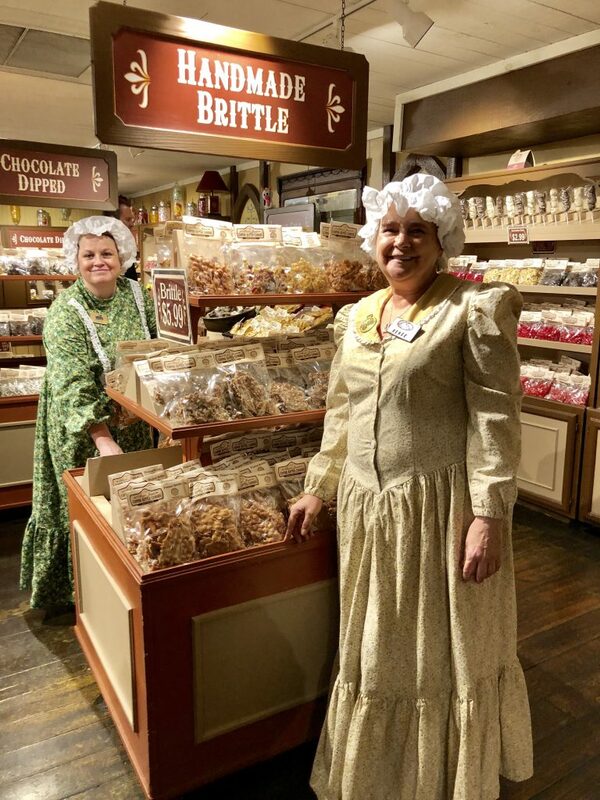 I am elated to finally find a place that offers something for every member of our family. 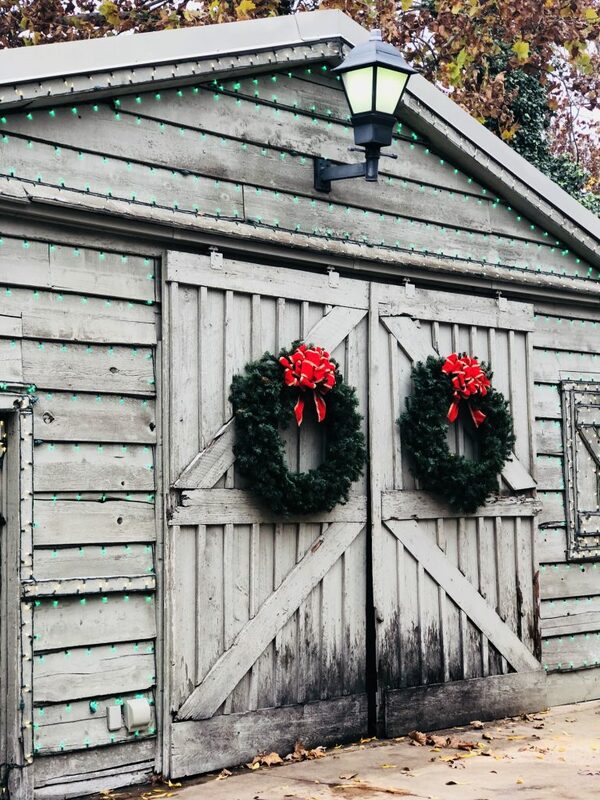 We are already planning a family vacation and Silver Dollar City is now on everyone's must do list. I can't wait to go back! 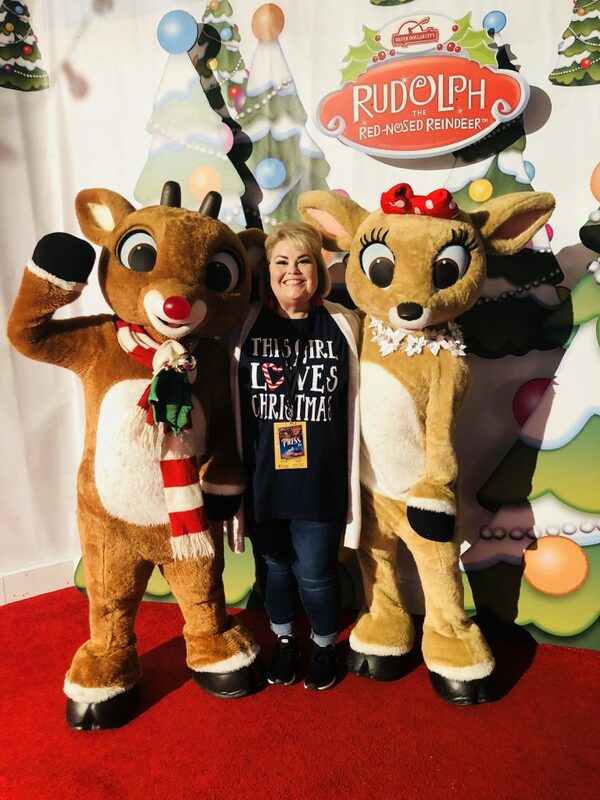 Read more about my other Branson favorites here. 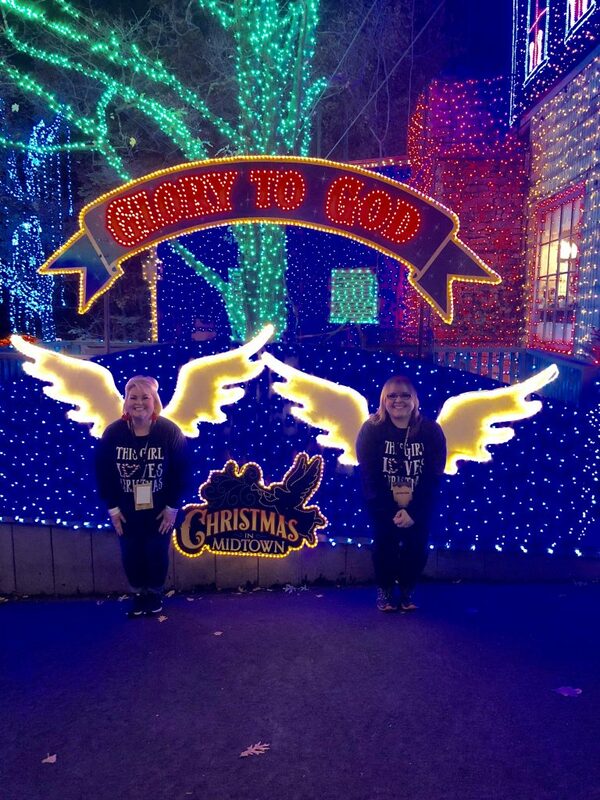 **I experienced Silver Dollar City on a sponsored media trip but all opinions are 100% my own.